The grades 4-8 Spelling Bee will be held Monday, February 18th at 6 pm in the Jr./Sr. High School Auditorium. In the case that school is cancelled for 2/12/2019 the 4th through 8th grade spelling bee will be moved to Wednesday February 13th @ 6PM in the Jr/Sr High School. All evening activities for 2/11/2019 have been cancelled. 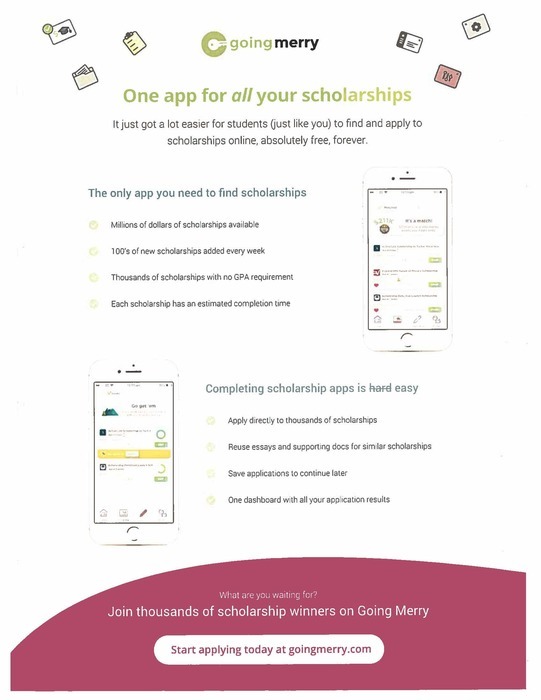 Check out this scholarship site information from the Guidance Office! Winter keystone tests will be held at the High School Jan. 8th through the 11th. Biology testing will be the 8th & 9th. Algebra will be the 10th & 11th. The winter wave of testing is an additional opportunity for students who have previously been unsuccessful . Good luck to all! The Clearfield Area School District Board reorganizational meeting will be held on December 3rd at the CCCTC at 6pm. UPDATE: The PIAA State Playoff Game will be played tomorrow (Saturday November 17th) at 7 PM at Slippery Rock University. Please come out and show your support for all our students who will be playing and performing. We need everyone to show their BISON PRIDE! The PIAA State Playoff game scheduled for tonight in Clarion has been postponed, time and place for the makeup game is TBD. Please watch for updates on the school website, local radio and the school district Facebook page. As always, GO BISON! The Clearfield Varsity Football Team will play Dubois in the District 5,6,9 semi-final game, Friday November 2nd at the Clearfield Stadium @ 7:00 PM. 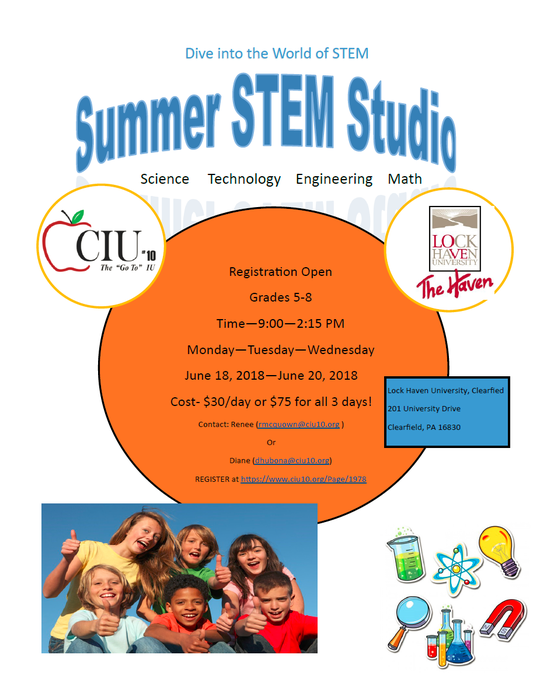 Admission is $6.00 for adults and $ 3.00 for students. Come out and cheer on the Bison! The Financial Aid event at the Jr./Sr. High School this evening has been cancelled due to circumstances out of our control. We will be in touch with all parents when it is rescheduled. 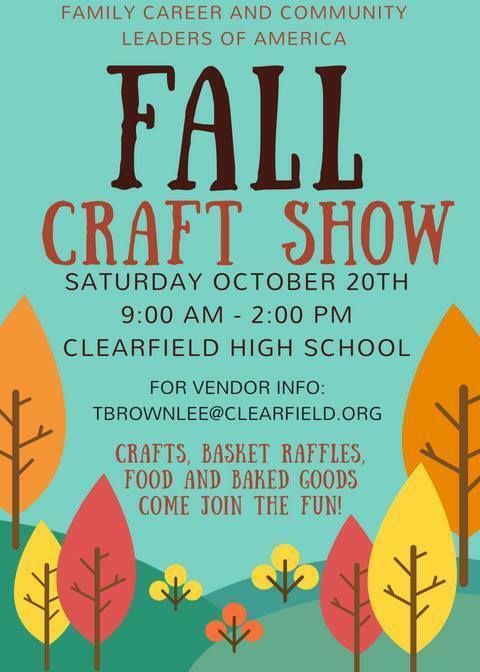 The Fall Craft Show will be here before you know it! Mark it on your calendars! Friday Night Bison Herd Call Out! Part of the Bison fan base that help makes Friday nights special? If you can say YES we need your help Friday night after the game. The Bison Band will be performing after the game Friday night! Please stay and finish the night right! Congratulations to the Pennsylvania Association of School Retirees on their 80th Anniversary in service to all School District Retirees! Tuesday, June 19th the elementary school will NOT be serving meals. Meals will resume as normal on Wednesday, June 20. Thank you! Clearfield Baseball will play Wednesday May 30th vs St. Mary’s at Showers Field in Dubois at 6:30 PM. This is the District 9 AAAA Championship game! Good Luck Bison! Tomorrow's K'NEX competition at LHU has been postponed until April 4th! In the case that there is a delayed start on Wednesday March 21st, National Honor Society inductions would then be at 10 AM in the auditorium. https://clearfield-sapphire.k12system.com/ use this site to login to your sapphire account! Looking to volunteer? You can find the volunteer packet in the documents section in the employment folder! You can find the 2017-2018 physical form in documents, then student information on the homepage!